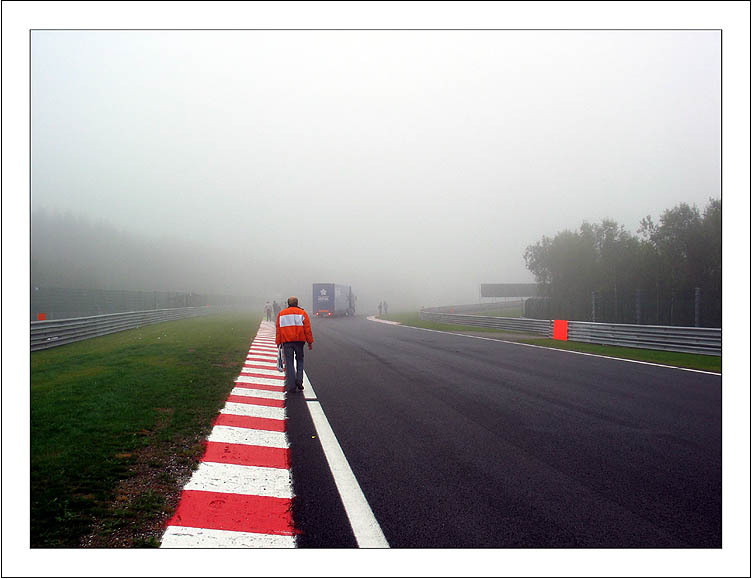 Latitude - Longitude + 50°26'37" + 5°57'55"
(36) Rombo 1/1986 (page 20) C’era diossina nell’asfalto che ha causato l’annullamento del GP nel giugno 1985? 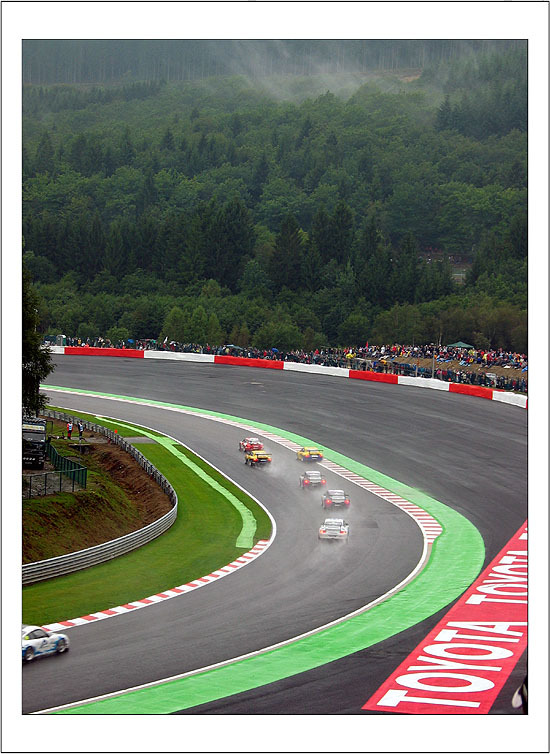 (41) Autosprint 18/2007 (page 32) Works are in advance! 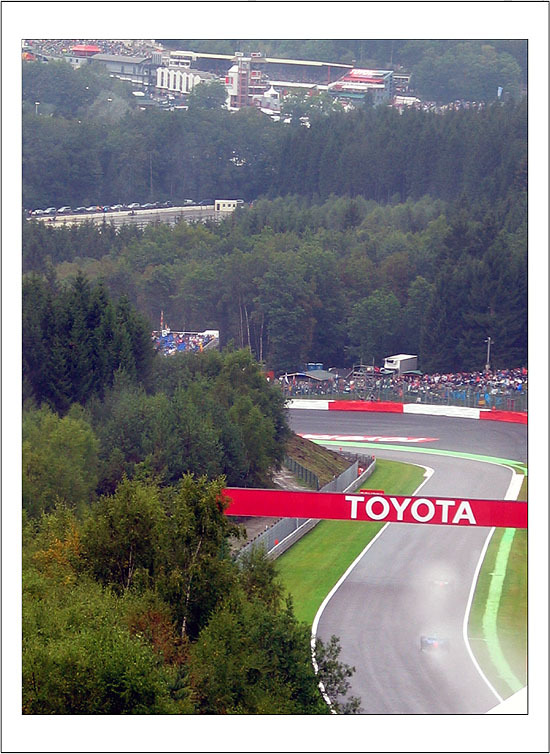 Description Map shown here is wrong in the Stavelot area, as the banked Stavelot bend was built only after Second World War. 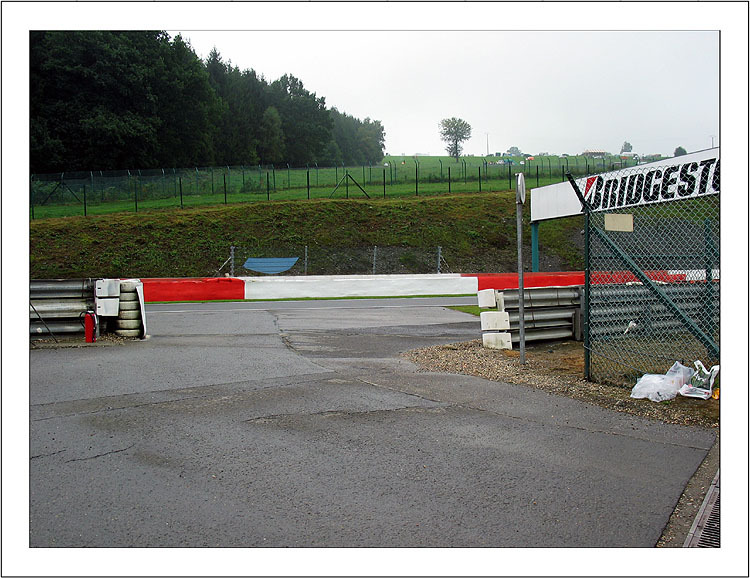 Before, the circuit went through Stavelot village. 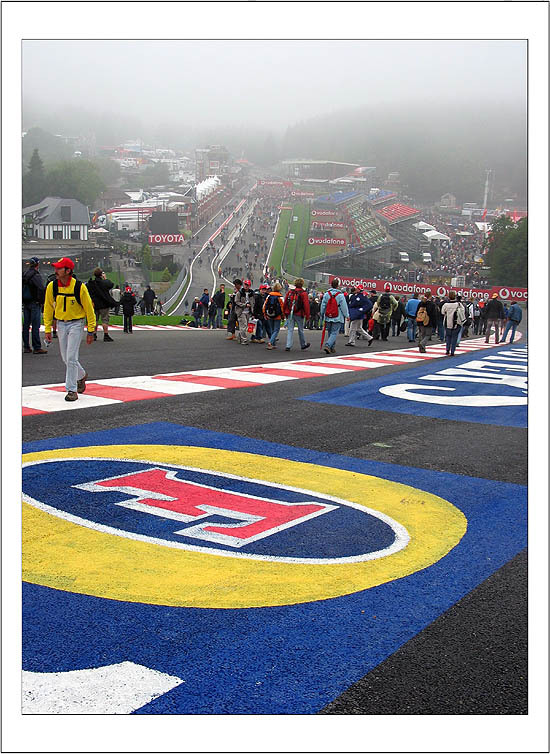 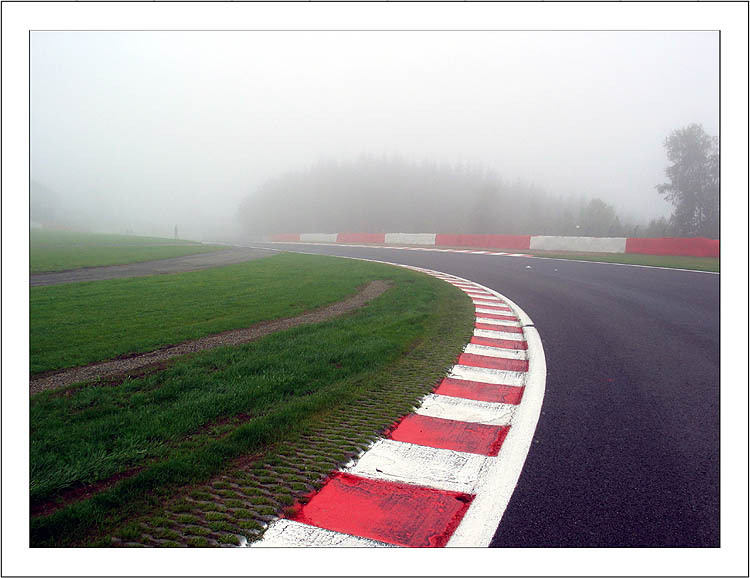 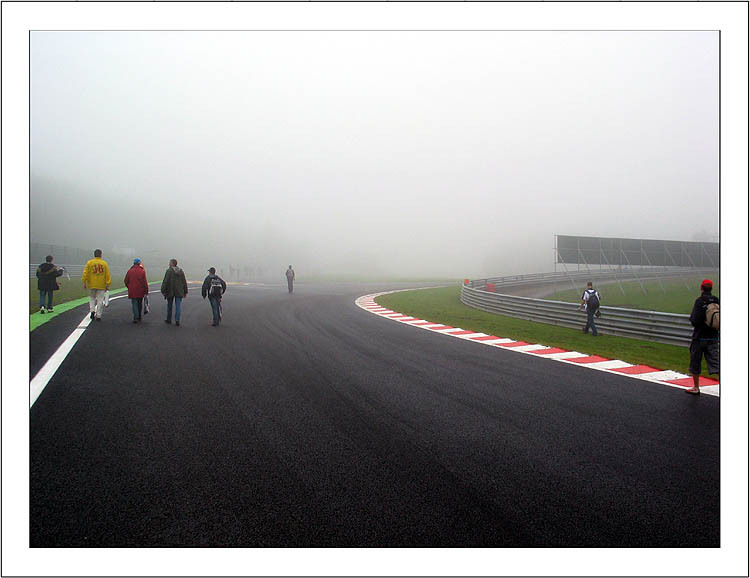 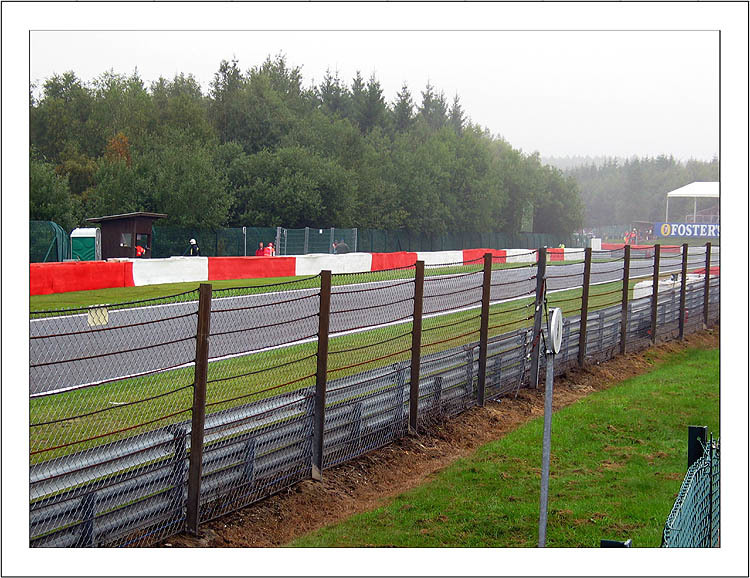 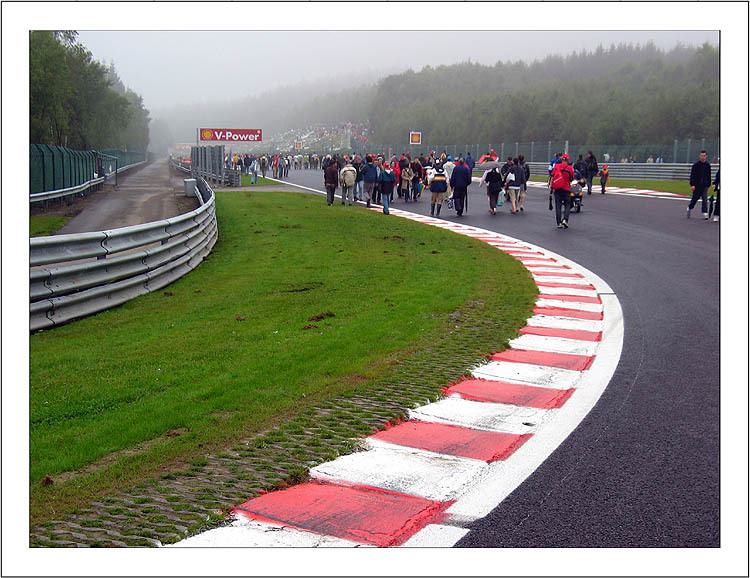 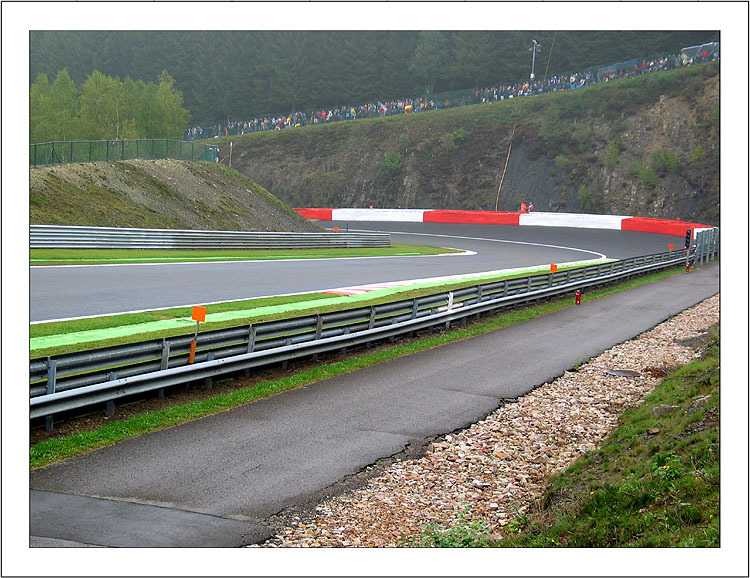 Malmedy chicane was built in spring 1970 and tested for F.1 Belgian GP in 1970, but it was not used for racing (on June 7th). 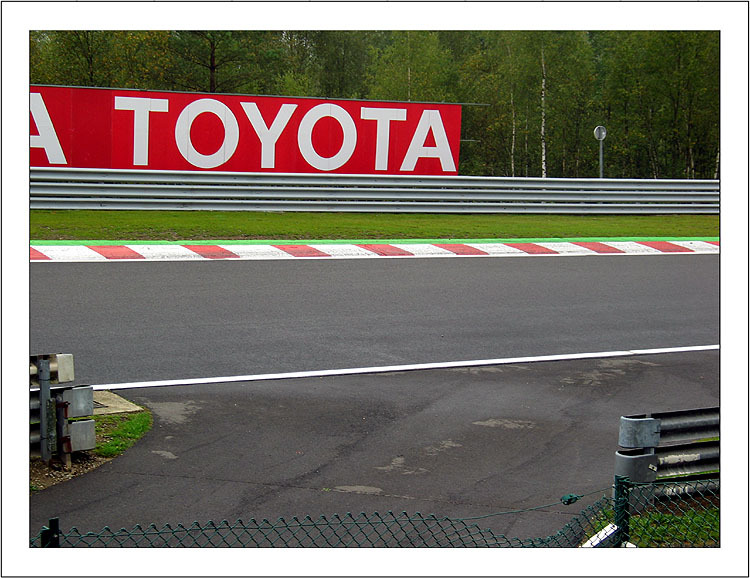 Later it was used for 1000 km and 24h races. 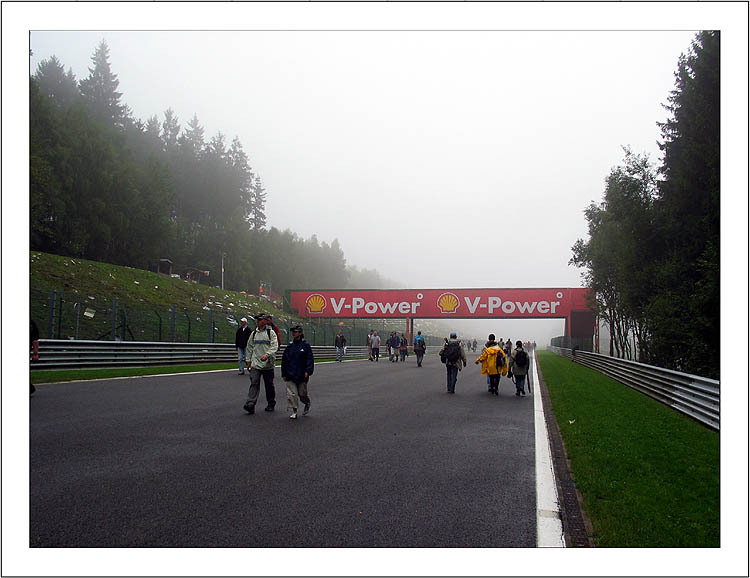 After its construction, the circuit had to overcome an "island", then a triangular junction was built using roads to Malmedy. 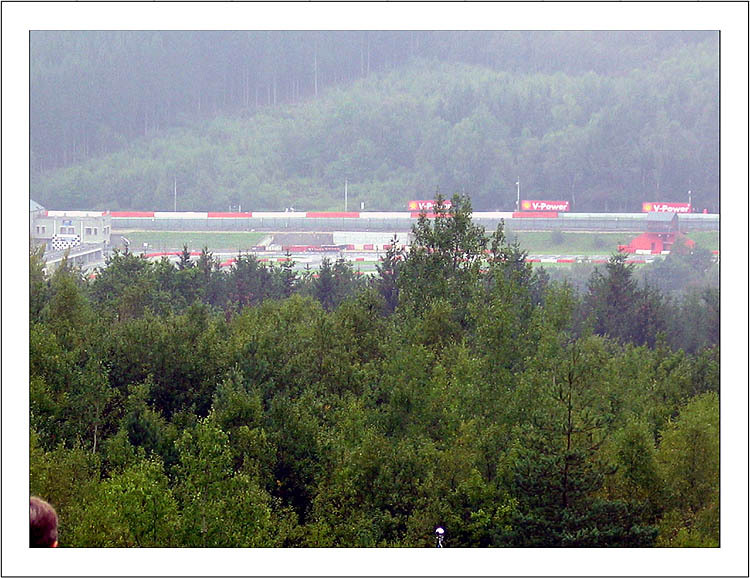 Stavelot and Spa. 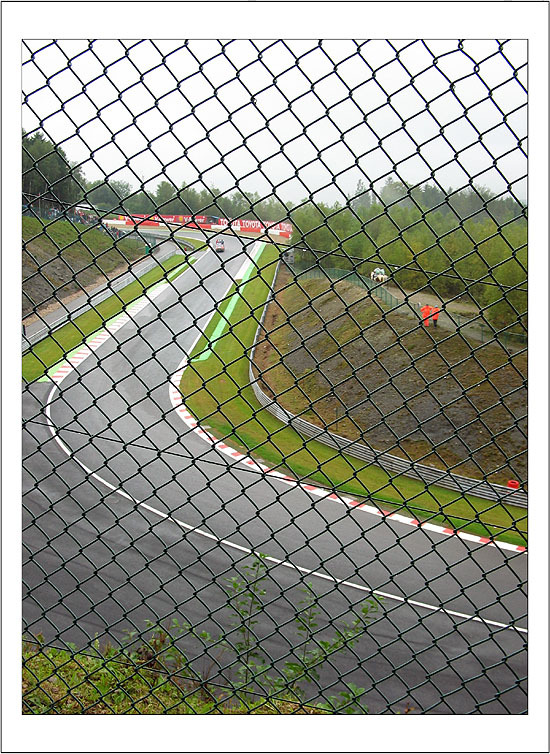 Masta chicane was built in 1975 (even if there were rumors about it at least since 1968), but it was never used as it was too dangerous. 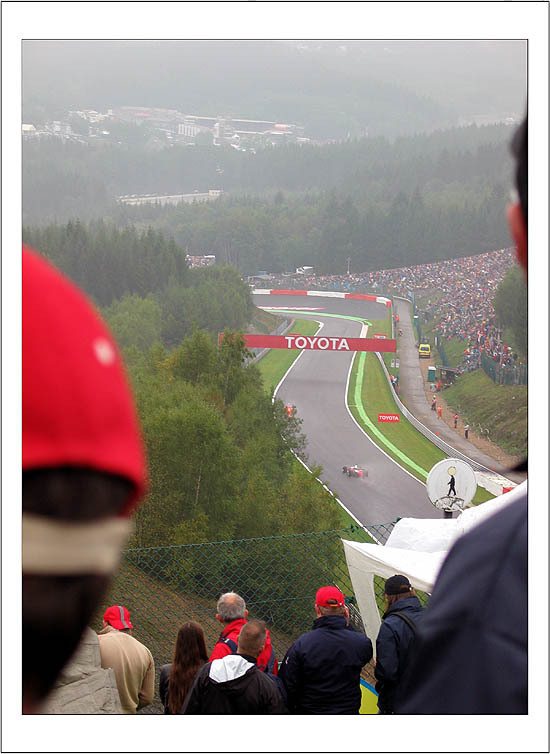 Description Proposal dated 1975 for shorten the old Spa circuit. 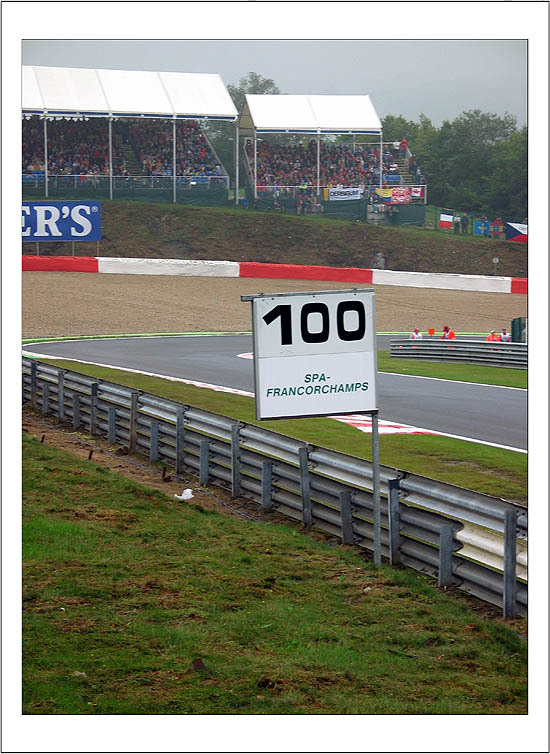 It should have been opened in 1978. 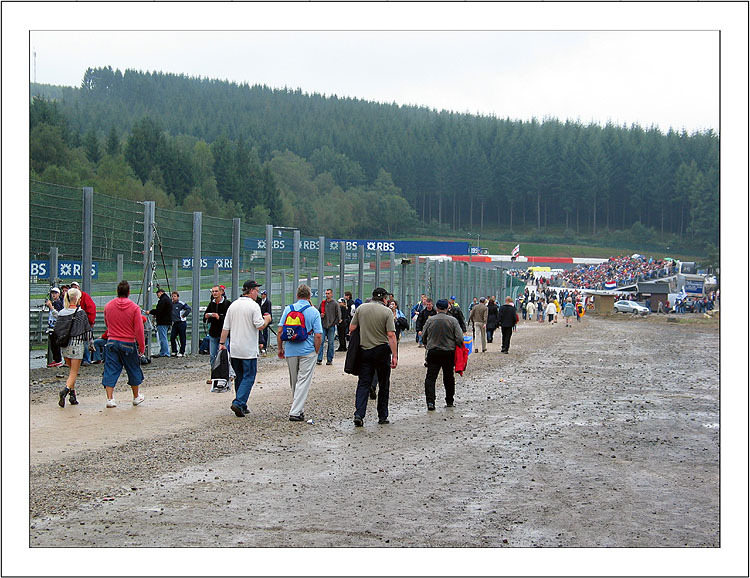 7 km long, it should have used 4 km of the old track, while a section 3 km long should have been built. 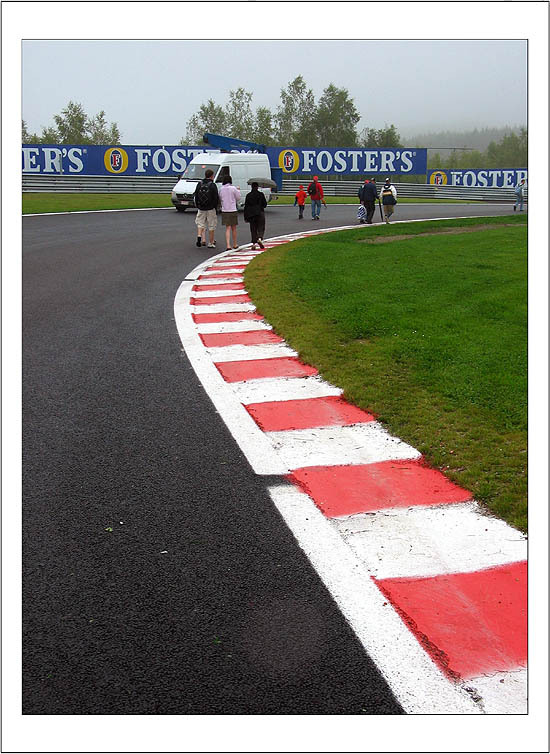 It should have had a semipermanent street circuit, with all facilities ready for a sudden close to traffic. 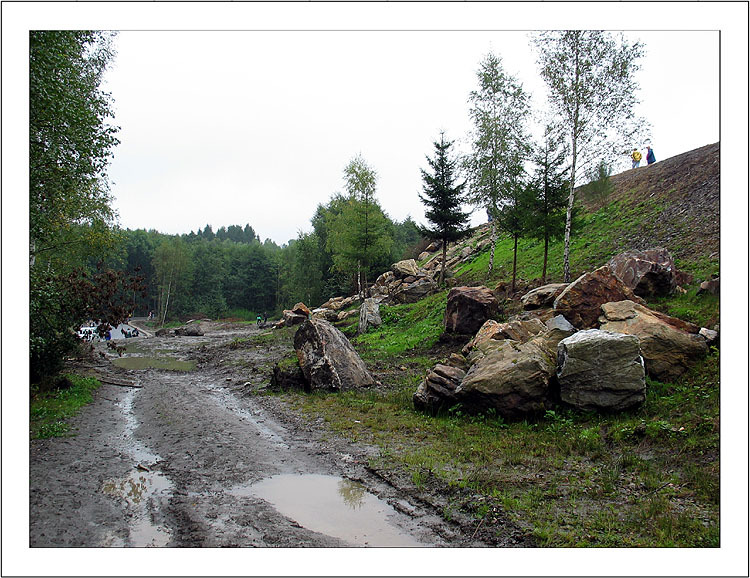 Description In few weeks, draft of proposal of the new short circuit presented in spring was completely changed and now it’s nearly the same as what it was really built. 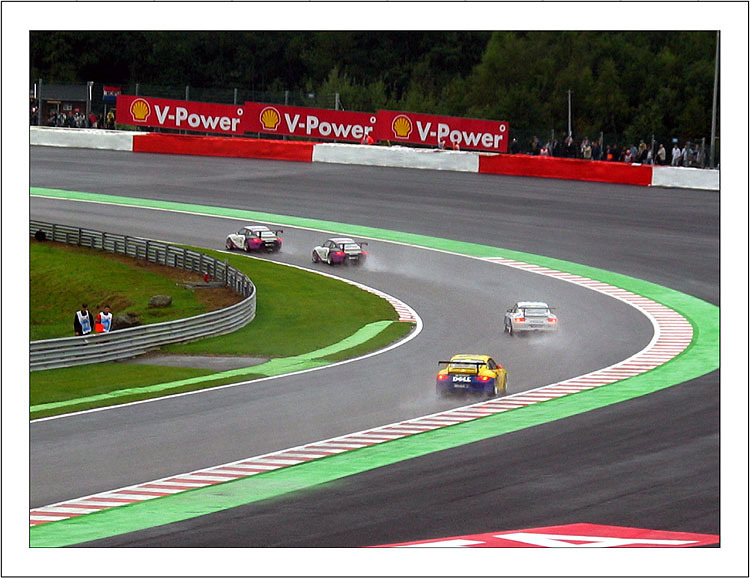 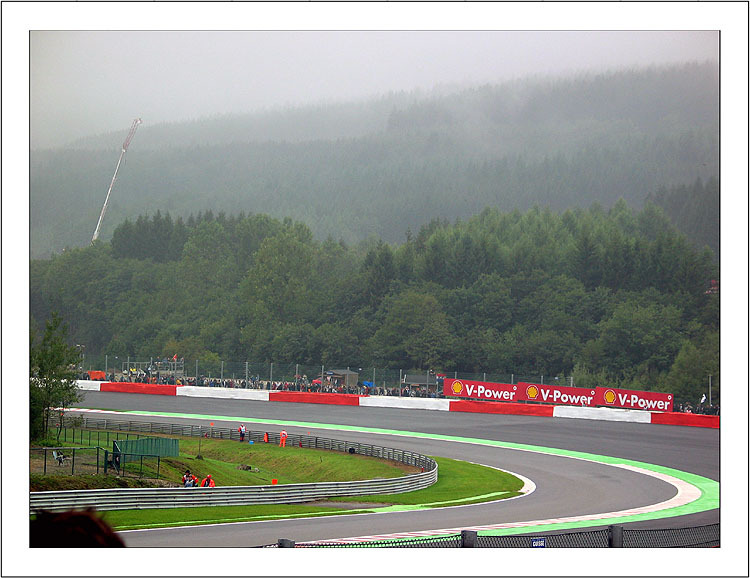 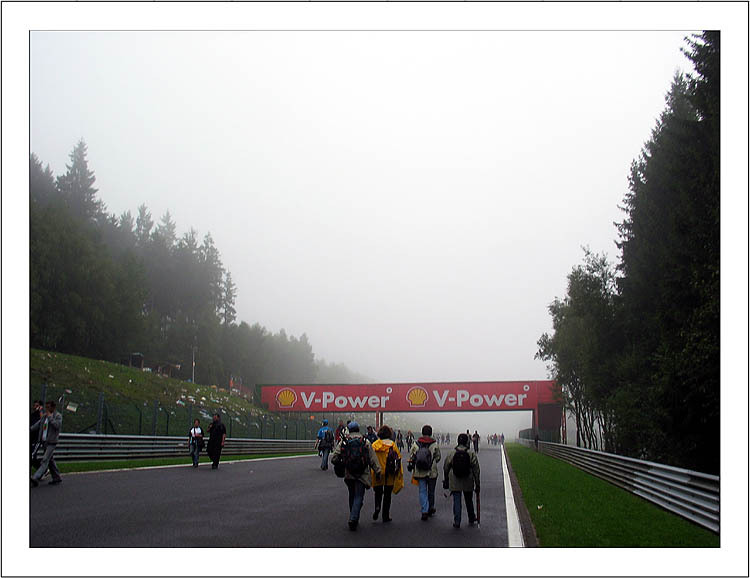 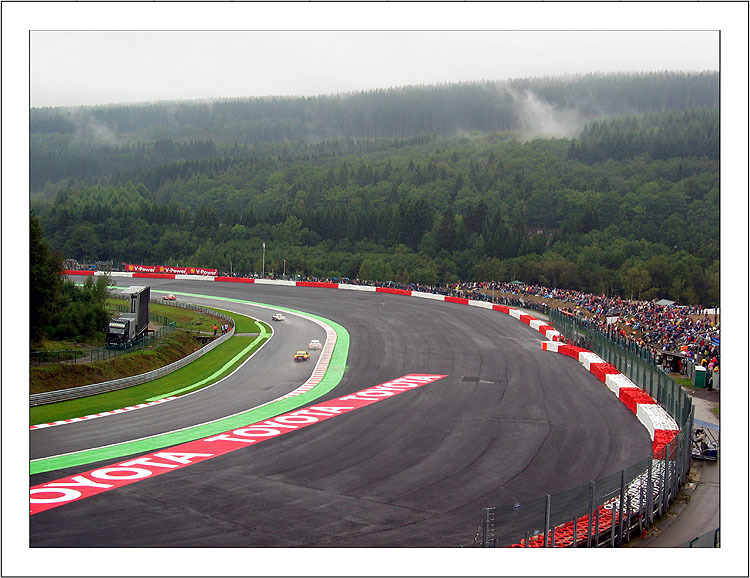 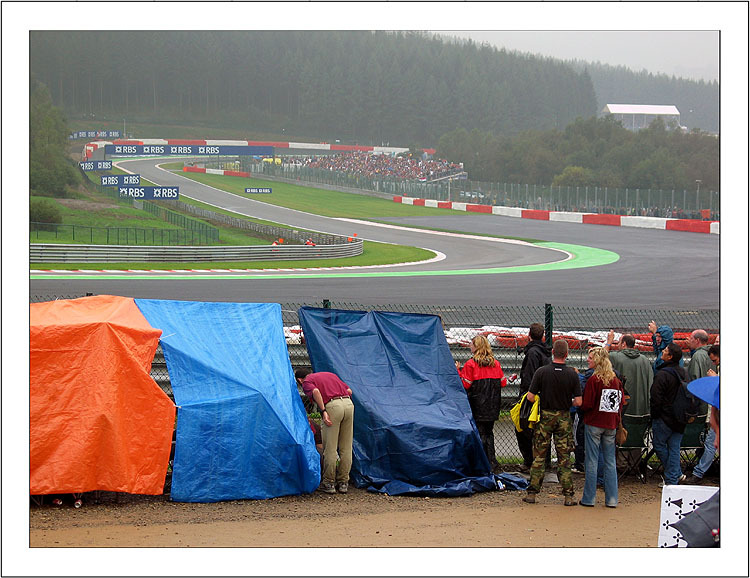 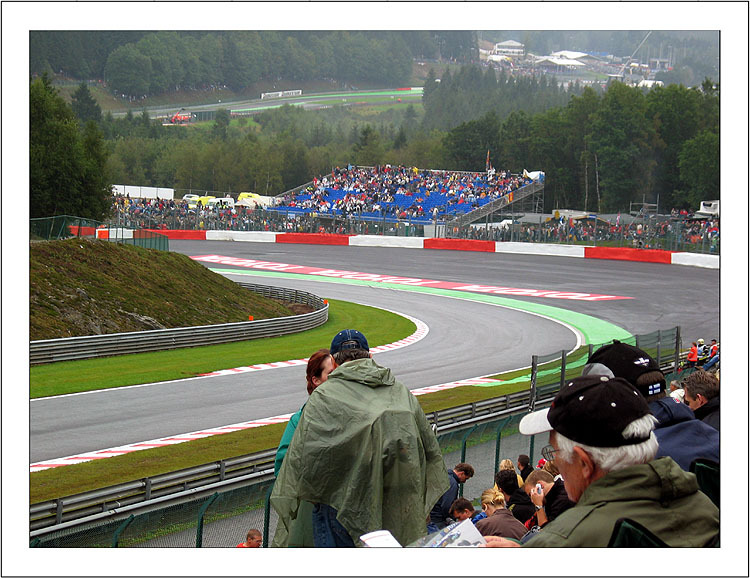 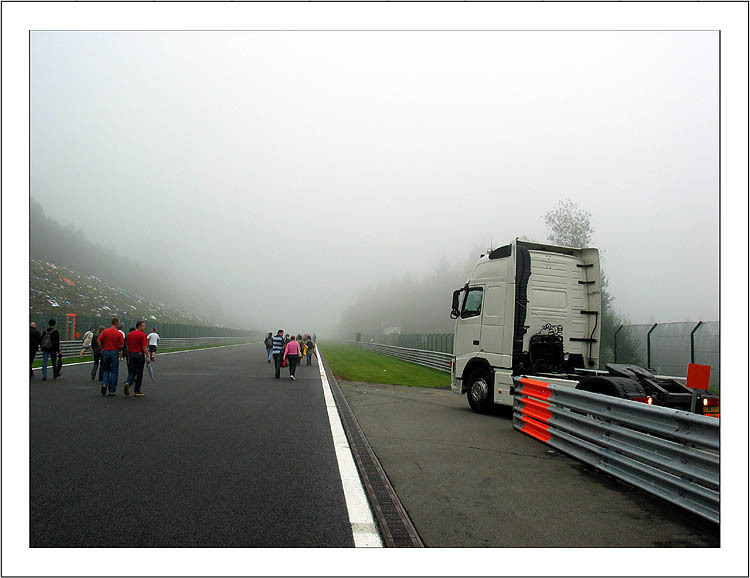 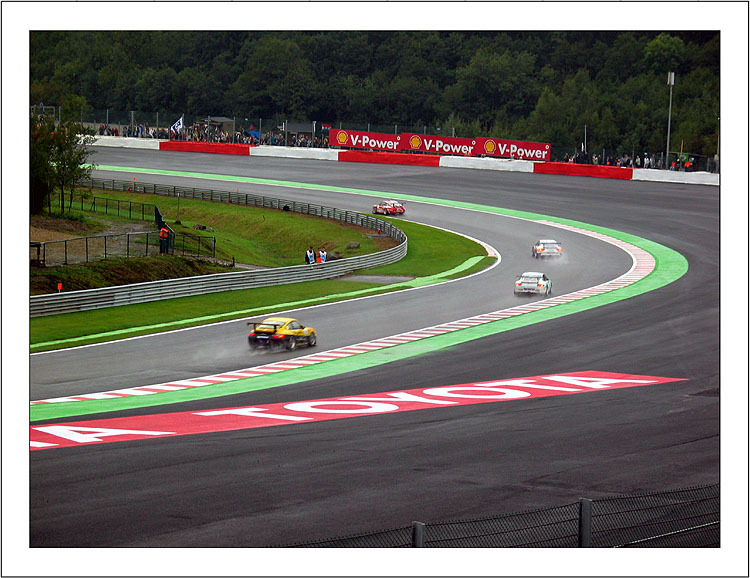 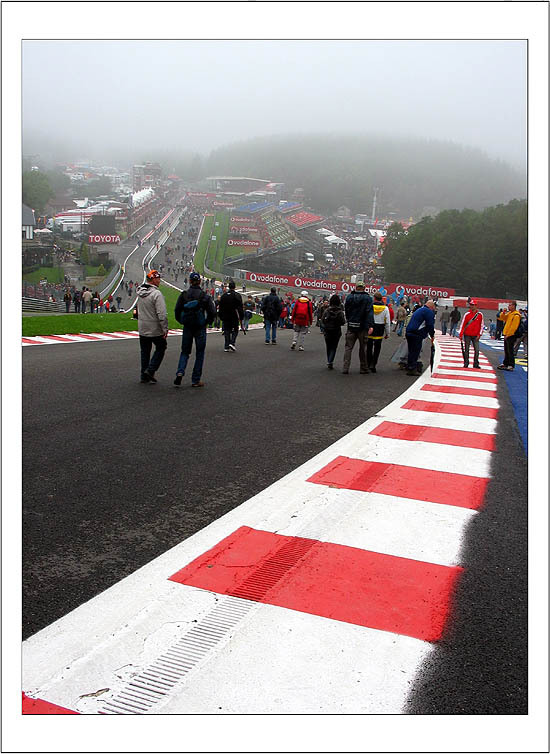 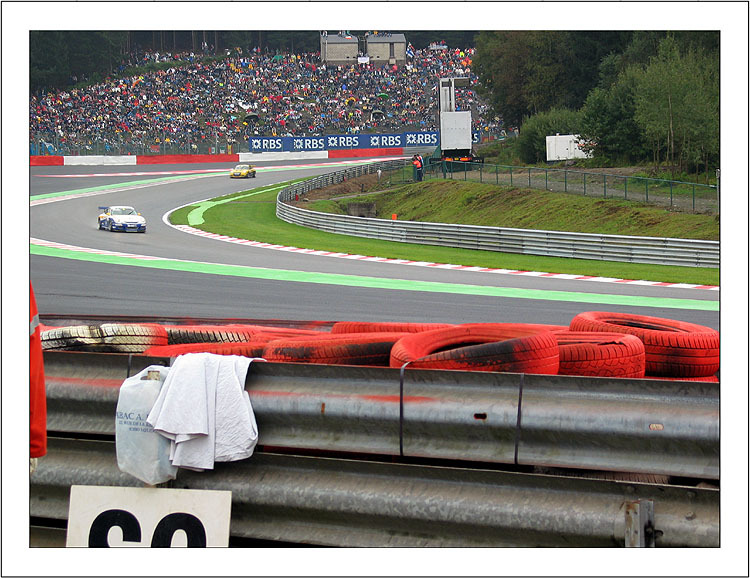 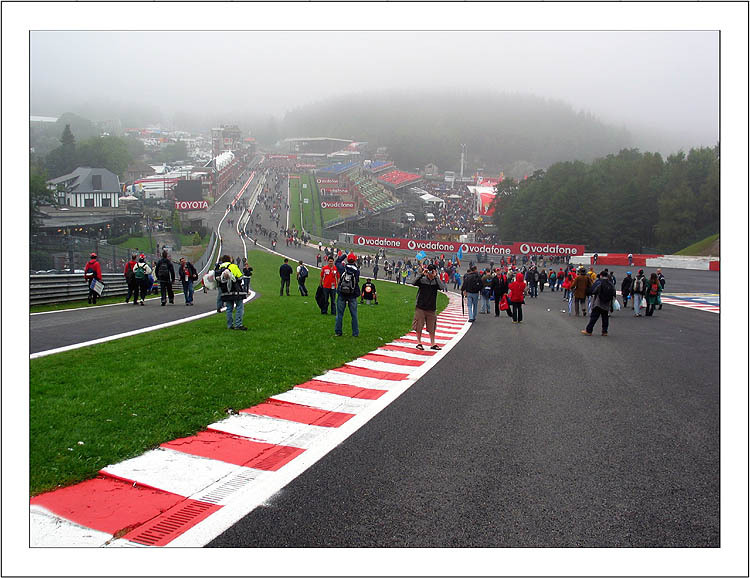 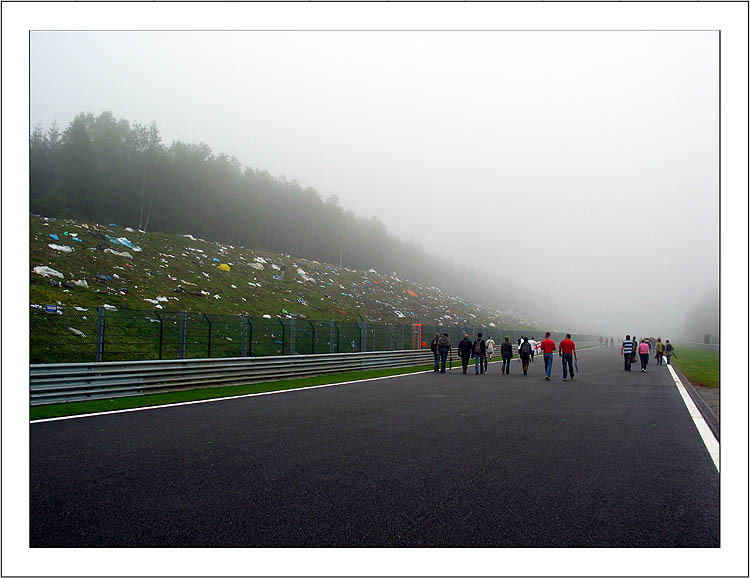 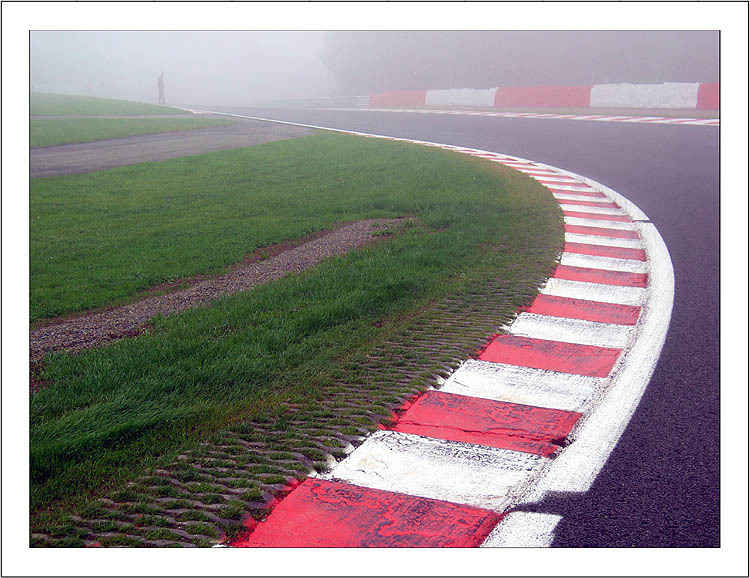 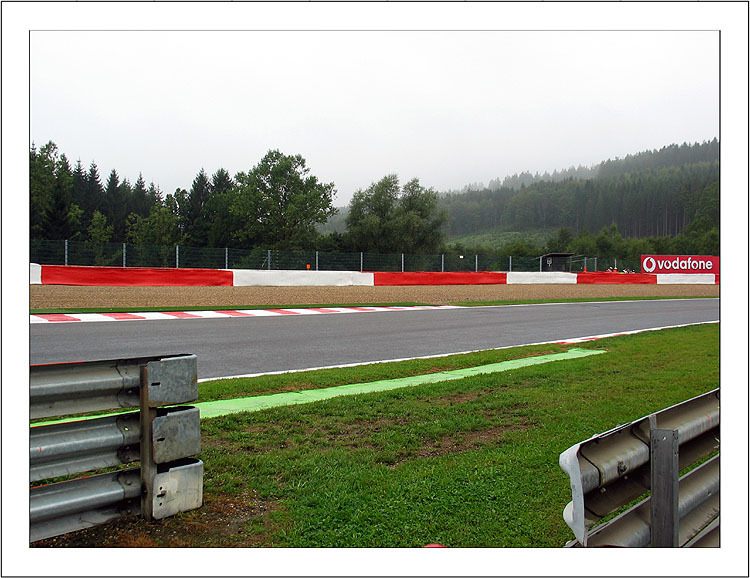 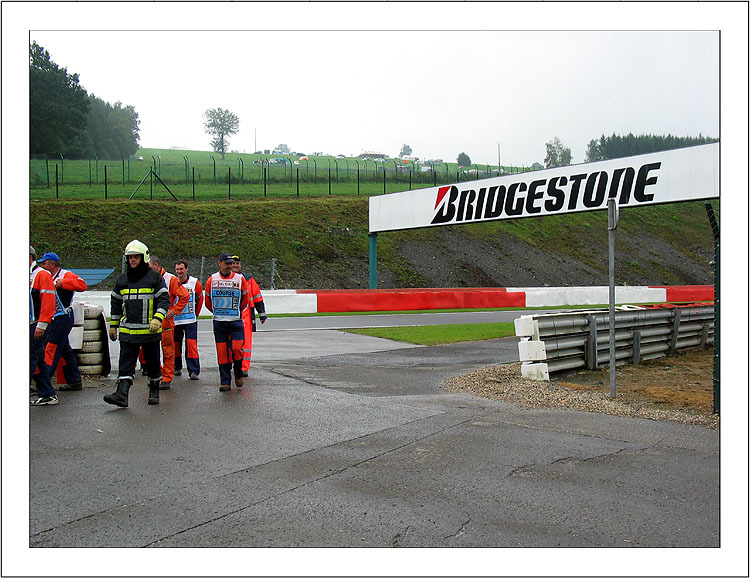 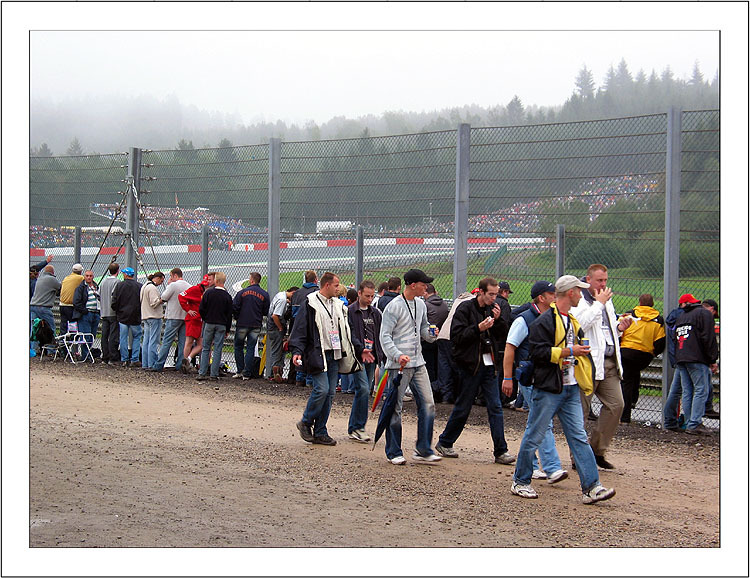 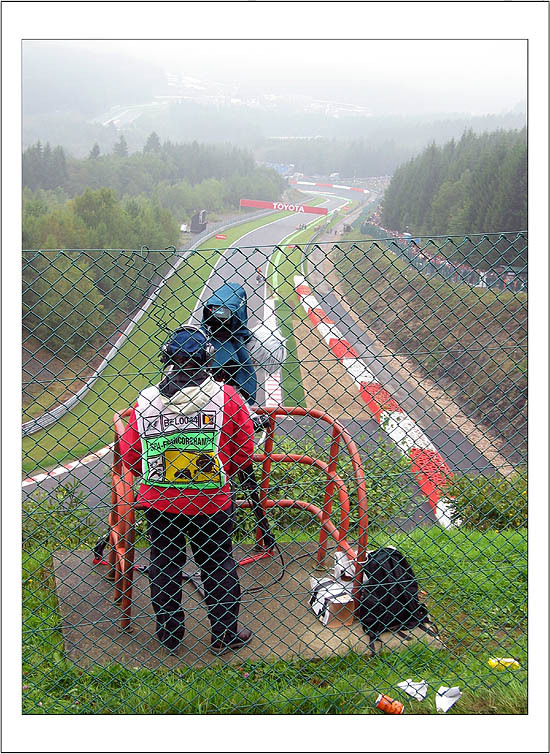 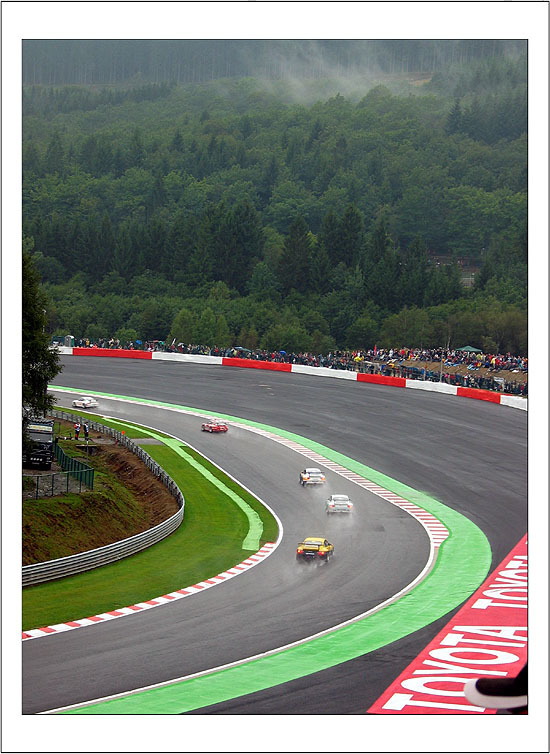 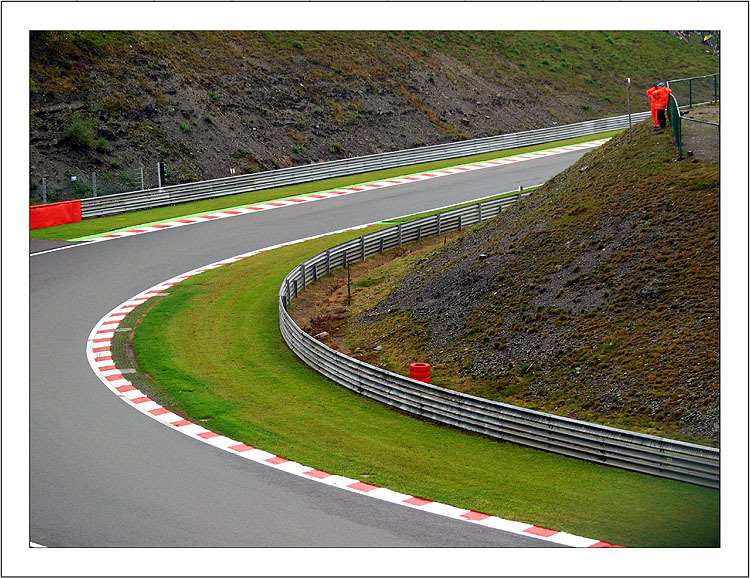 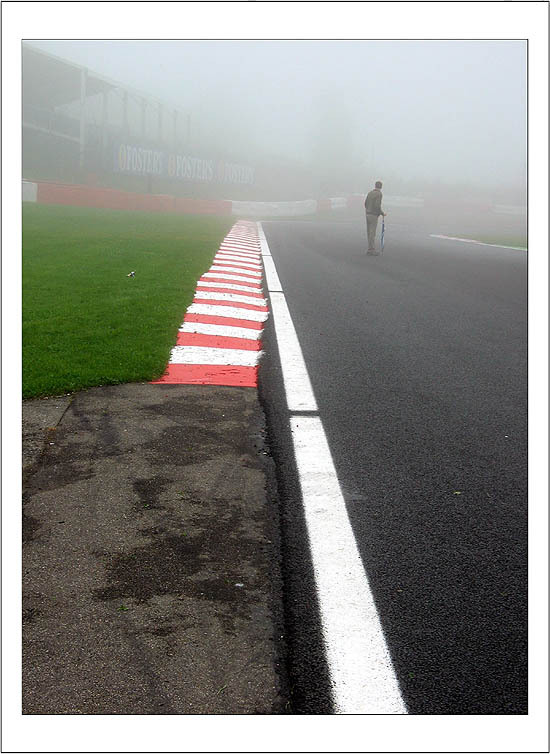 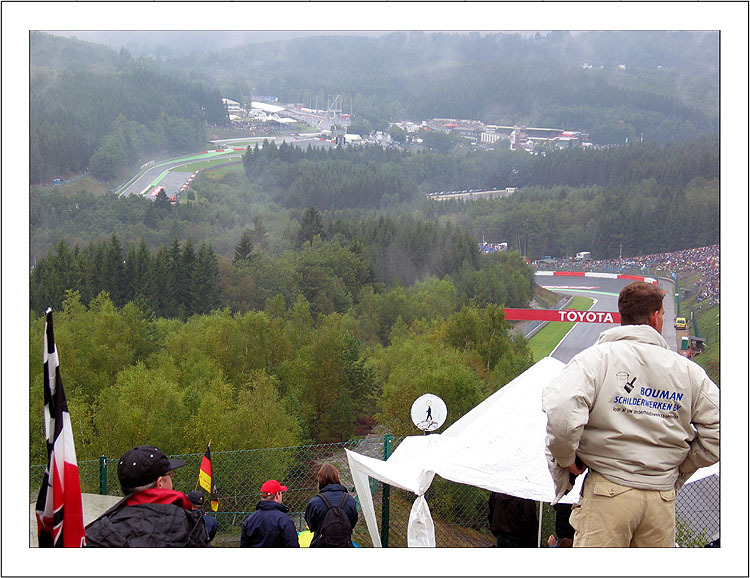 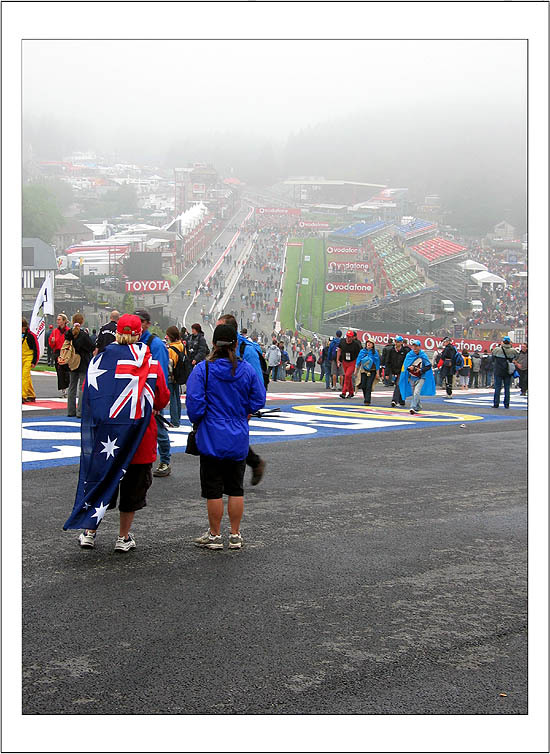 The last international race run on the old 14 km track was Spa 24 hours on July 22nd-23rd 1978, then the old track was abandoned because of its dangerousness. 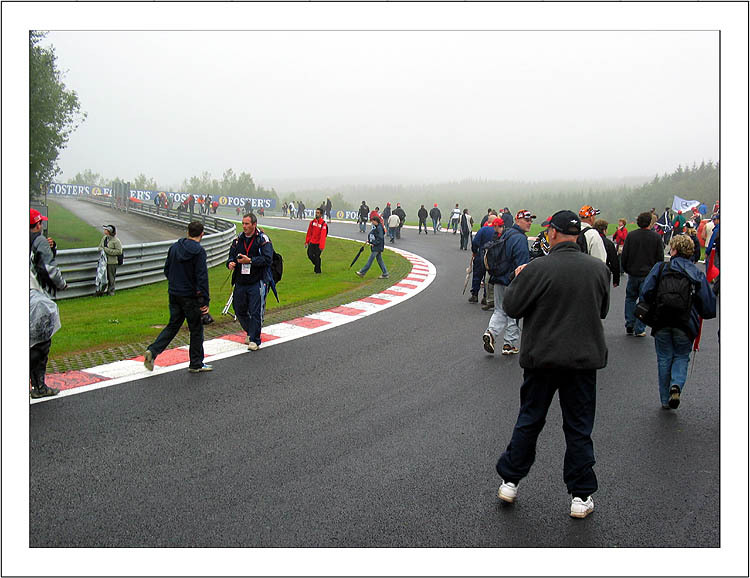 A long section of the old circuit (from Blanchimont to Raidillon) is unchanged, next section was modified in order to build the new Kemmel straight and then a new section was built. 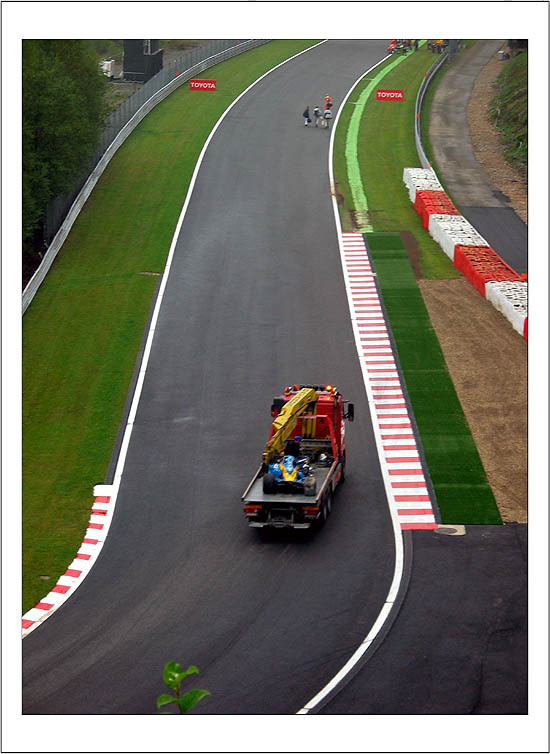 Totally, 4.2 km of new track were built. 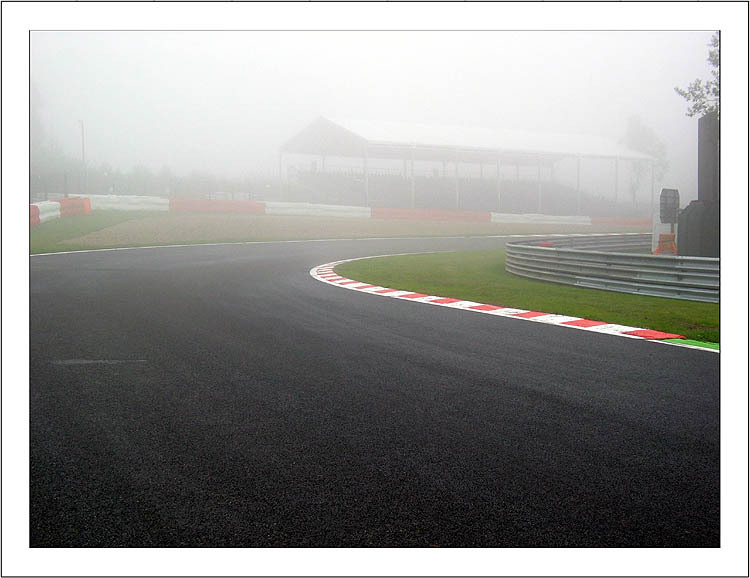 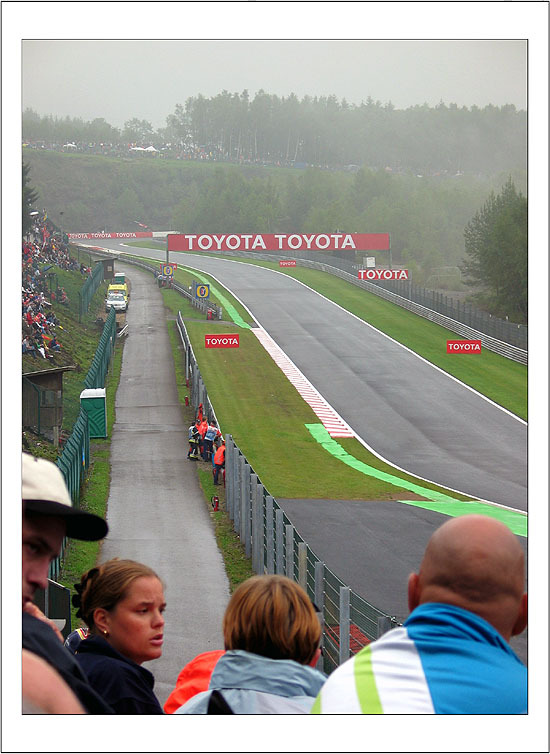 New track was inaugurated with motorbike Belgium GP, on July 1st 1979. 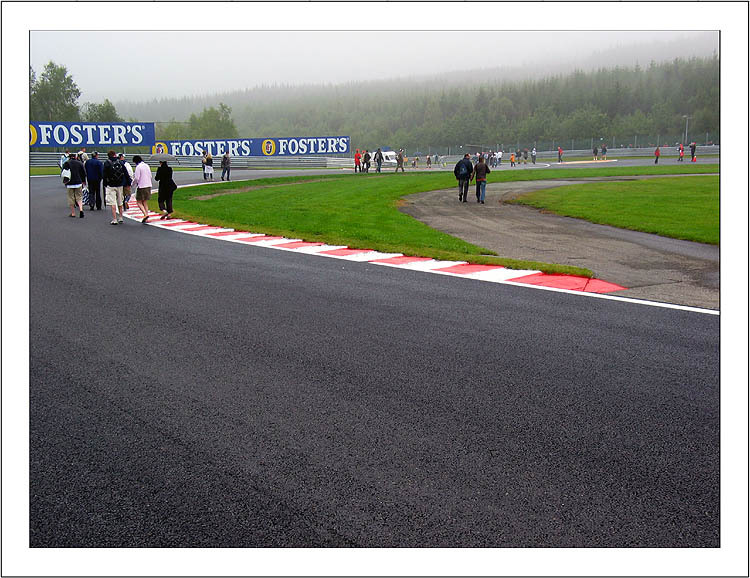 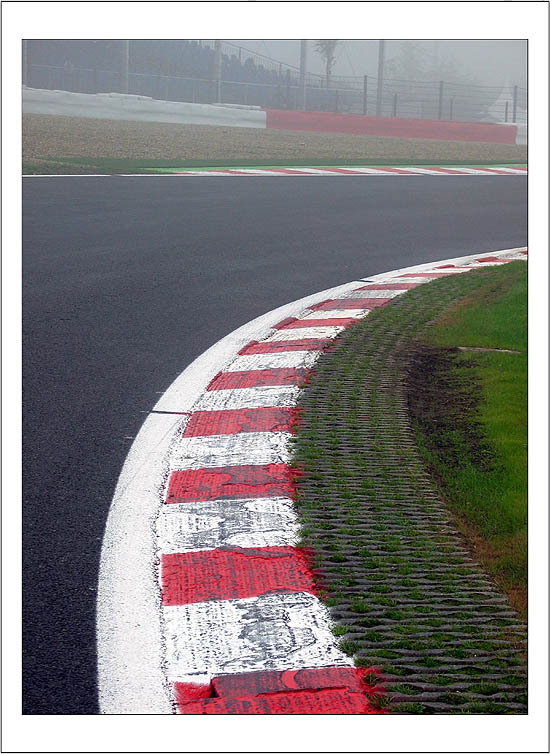 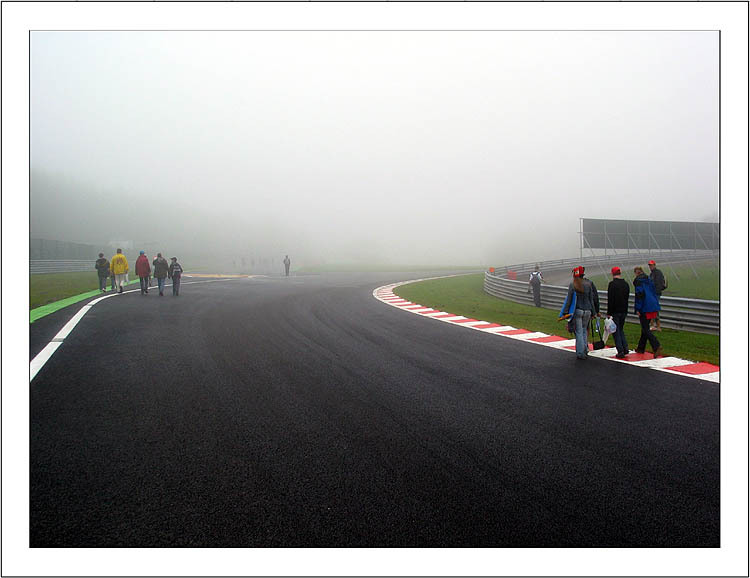 Description The circuit was completely rebuilt in the section between the old Bus Stop Chicane and straight after La Source hairpin, including Paddock and Pits. 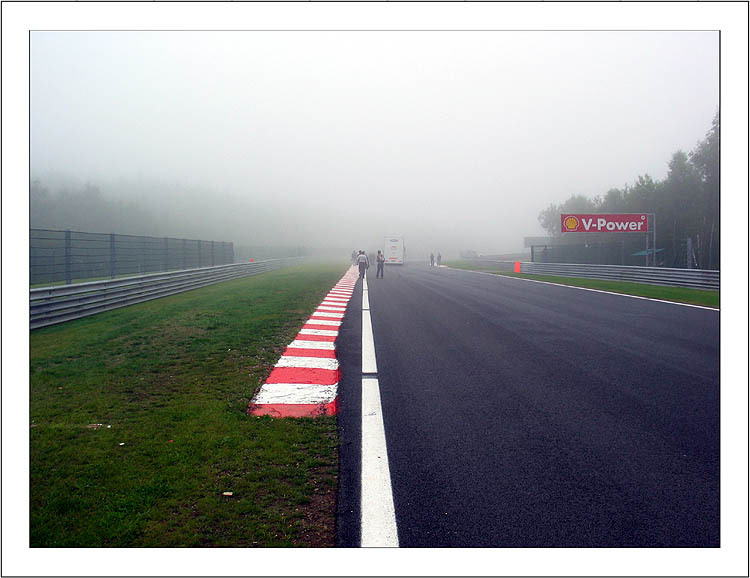 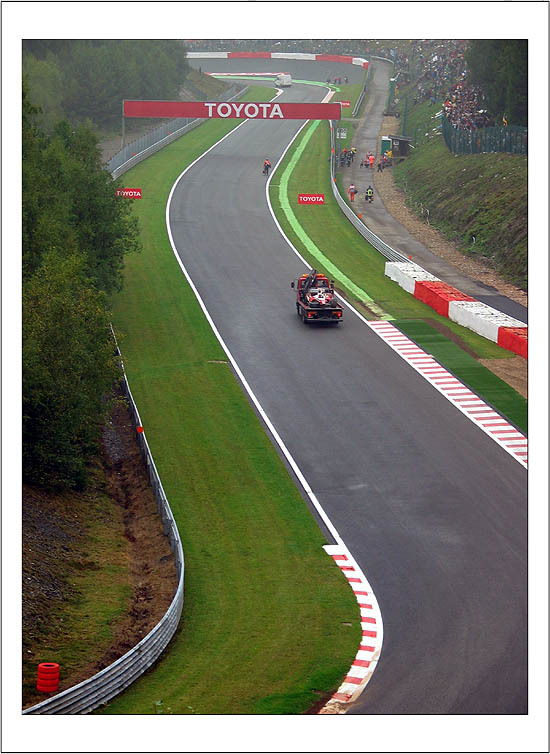 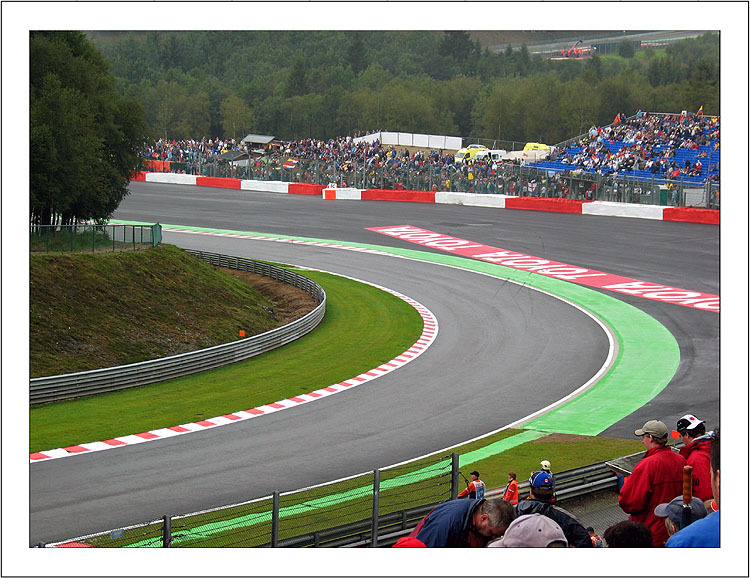 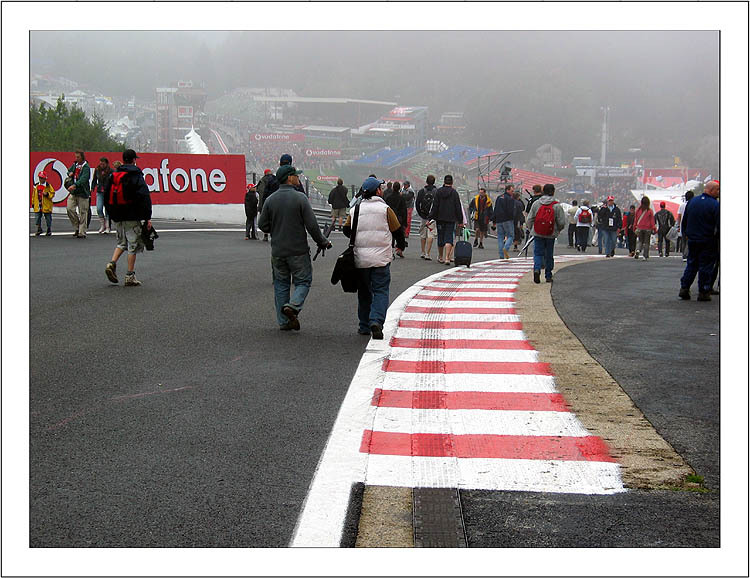 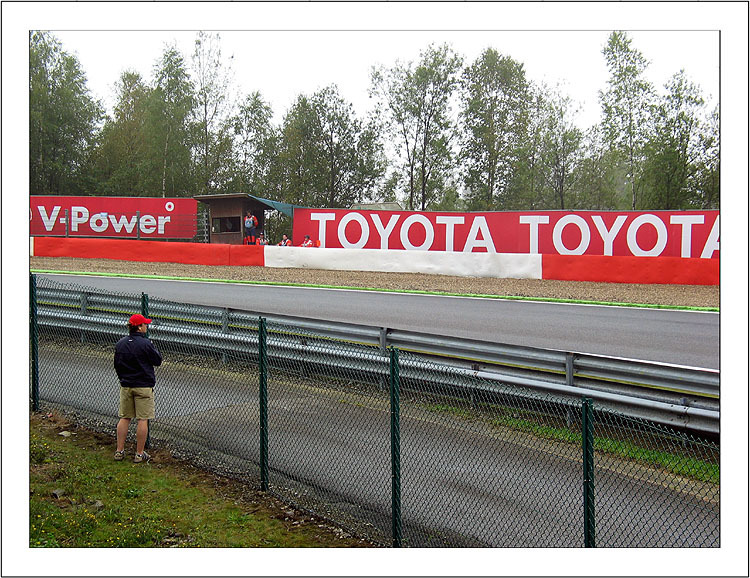 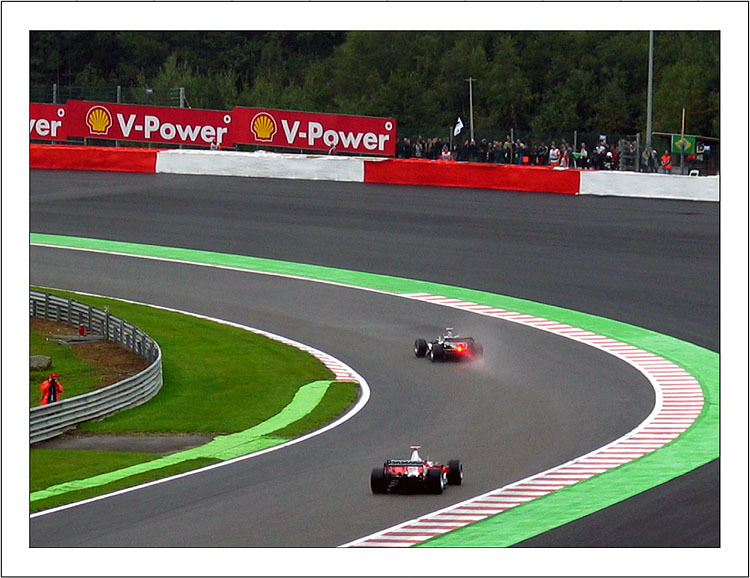 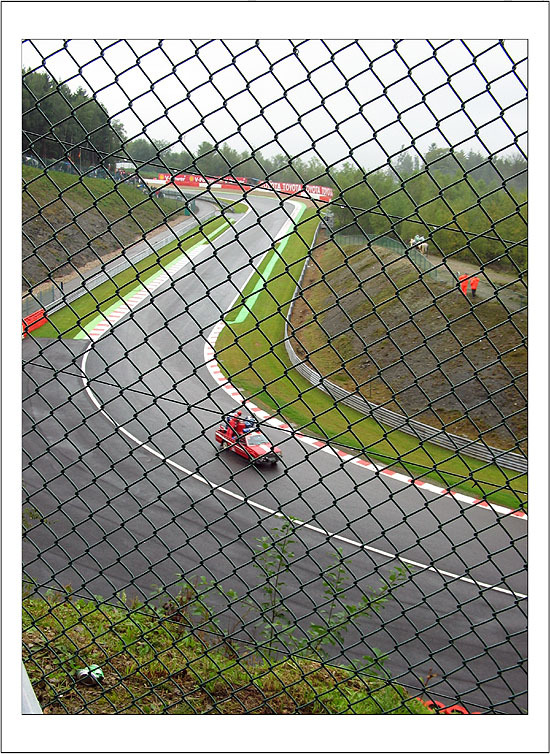 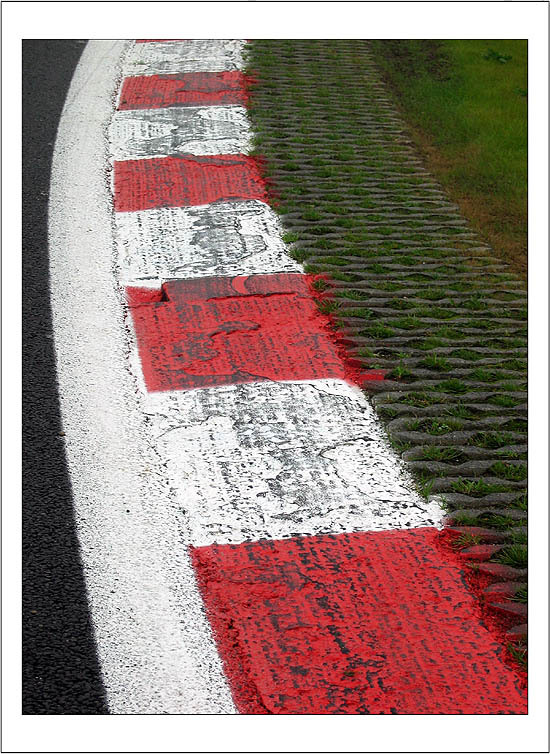 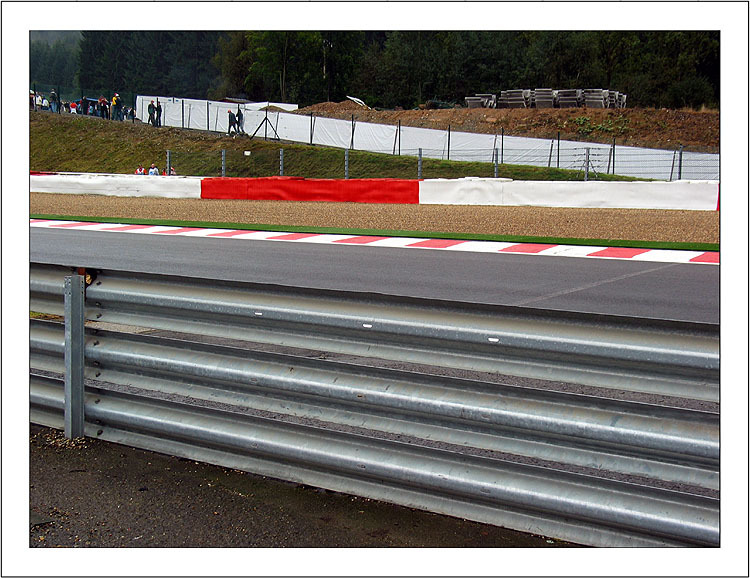 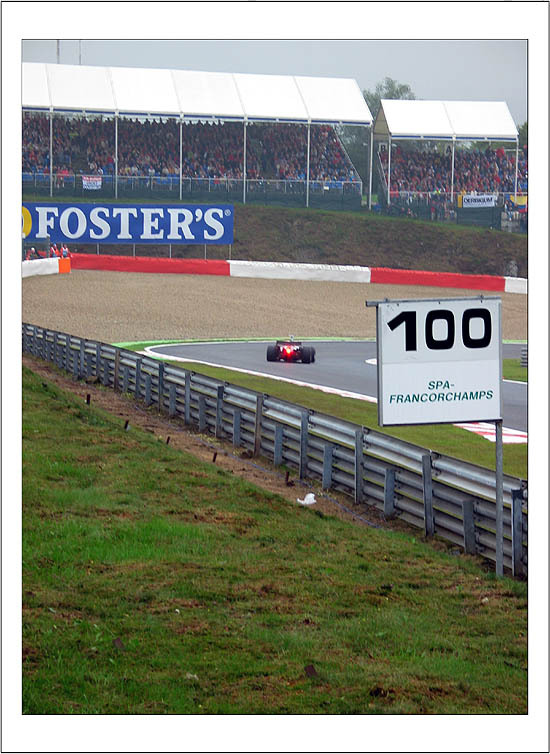 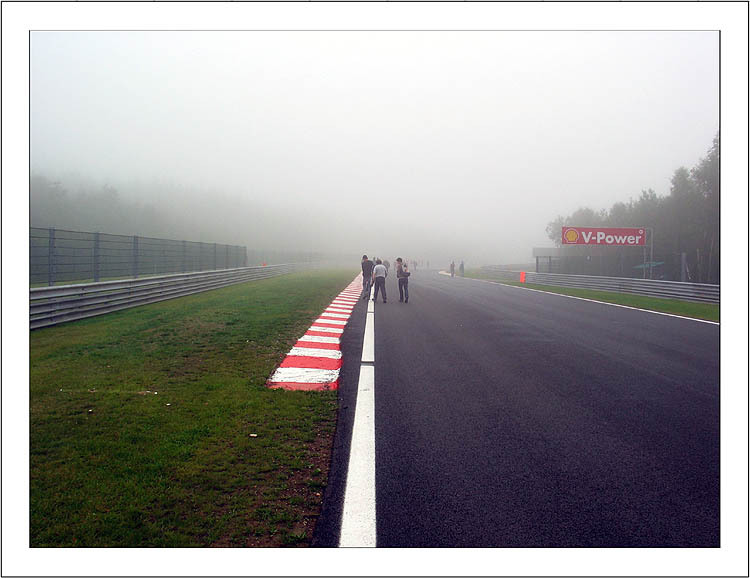 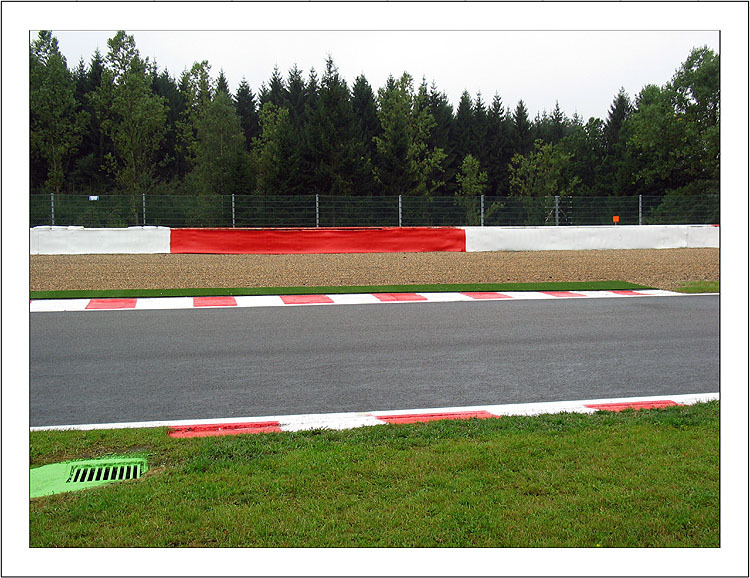 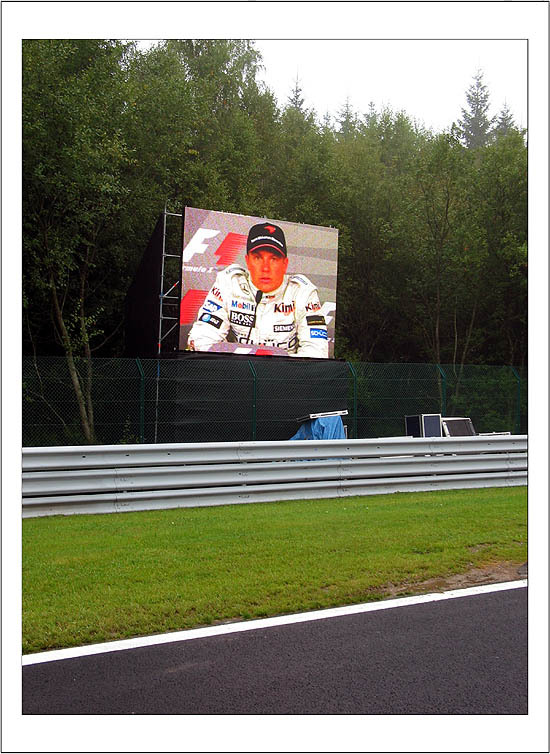 Before F.1 Belgian GP 2011 (August 28th) run off area at Rivage - Turn 8 was modified (gravel was replaced by asphalt), but the track was unchanged. 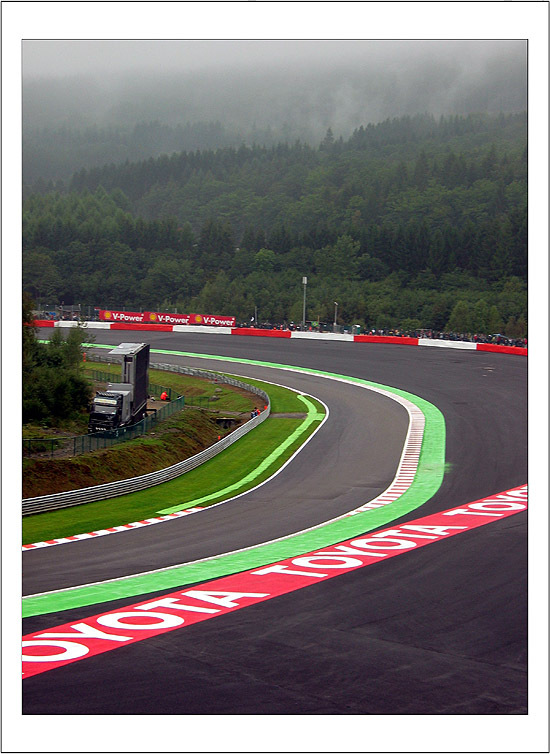 Latitude - Longitude: + 50°26'37", + 5°57'55"